Wallace Lane Farm016974 78188work FarmhouseWallace Lane Farm is a 23-acre smallholding owned and run by Janet and John Stanyer. 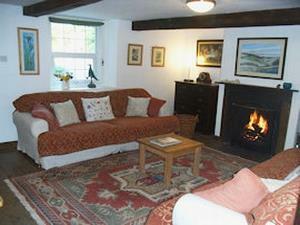 Offering 4-star quality bed and breakfast in their 17thC farmhouse. Situated close to the beautiful Lakeland village of Caldbeck, on the edge of the Lake District National Park, also within a short drive from Keswick, Cockermouth and the city of Carlisle. With stunning views across the Solway Plain to the sea and the Scottish hills on one side and the Cumbrian mountains on the other. We are able to offer bed and breakfast accommodation in the farmhouse in three fully renovated bedrooms. Guests will have access to a lounge with TV and open fire; all rooms have TV and internet as well as tea and coffee making facilities. Our breakfast menu inlcudes a full Cumbrian cooked breakfast and is available every day served in the farmhouse kitchen. We also offer a light Continental breakfast and a vegetarian option. Evening meals can also be provided subject to availability. Double room with en suite shower. Four-star quality with TV and tea/coffee making facilities. 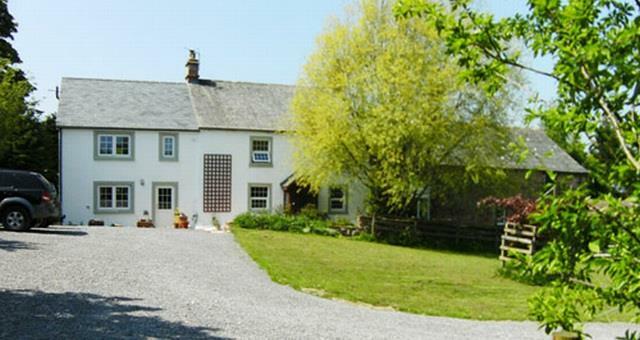 Wallace Lane Farm is a 23-acre smallholding owned and run by Janet and John Stanyer. We welcome well-behaved pets and families who may use the facilities of the farm including parking, cycle storage, and washing and drying facilities for walkers, etc. We can also arrange pick up from the local station etc. 23 acres of open field and woods. Ideal for children and pets to play. Close to local village with shops and leisure facilities. Children welcome from any age.